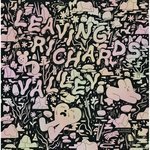 Somehow, we neglected to bring this book to your attention when it was originally released late last year. 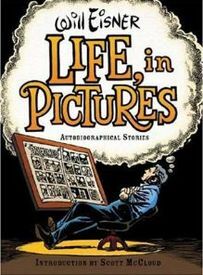 Like its two fine precursors in W.W. Norton's fine series reissuing Eisner's classic mature work – The Contract with God Trilogy and Will Eisner's New York – Life, in Pictures is a large, well bound, hardcover edition which contains three complete works accompanied by critical introductions and annotations, all printed in the signature sepia tones of Eisner's late work. This time around we get: The Dreamer, a roman á clef about Eisner's early years in comics; and two full length graphic novels that provide a history of Jewish life in America – To the Heart of the Storm and The Name of the Game. Also, be sure to keep in mind the fact that these hardcover Eisner omnibuses are a terrific value as they contain three complete works each of which retails for $16.95 (except for The Dreamer, which is less) in softcover. You really can't go wrong.